We are delighted to offer you a really versatile project for sale in the heart of Bolzano, the capital of South Tyrol. 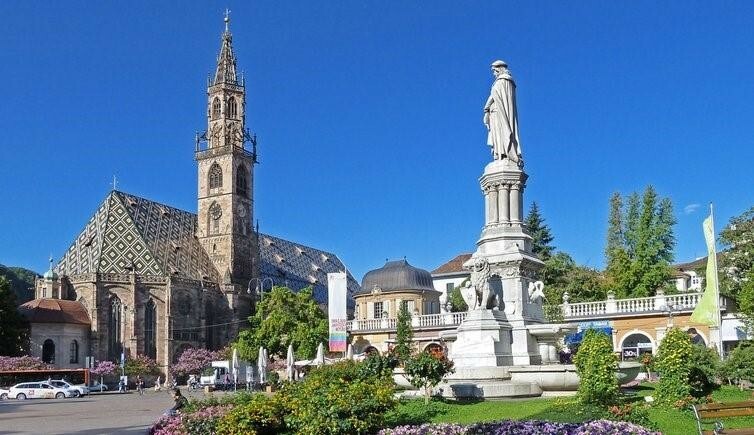 Bolzano, well-known and popular as an international exhibition center and university city, also hosts a large number of international companies. Tourism and viniculture are equally important factors of this city and the entire region. Traffic: In terms of traffic, Bolzano is crossed by the A22 Brenner Motorway as well as by the Brennero State Road, which are both important traffic routes between northern Italy and central Europe. Towards the northwest, the MeBo expressway connects to Merano, the second largest city in South Tyrol. The railway station Bolzano is located on the Brenner Railway, which connects Innsbruck with Verona, and thus on the railway axis Berlin-Palermo. Flight connections: South Tyrolґs regional airport "Bolzano Dolomites" is located in the south of the capital of the region: Innsbruck in the north and Verona in the south are South Tyrolґs nearest airports Other airports in the area are: Munich, Venice, Treviso, Bergamo and Milan. Project data: On a perfect and centrally located, approximately 2,500 m² plot of land a versatile project is planned, which could be a a service center. Possible uses are e.g. business hotel with cca. 125 rooms/270 beds, an office tower, a clinic or a mixed form. The complete infrastructure is given in the environment. Planned and approved are: A gross floor area of approx. 9,000 m², 16 floors (of which 13 above ground - ground floor + 12 floor) with its own underground car park for approx. 230 parking spaces with an interesting yield. The purchase price includes the open-plan property, the project and the building permit. We are happy to present you this project, which is truly an absolute rarity due to its potential. More information about the project only by giving us your complete contact details (name address, telephone number e-mail)!